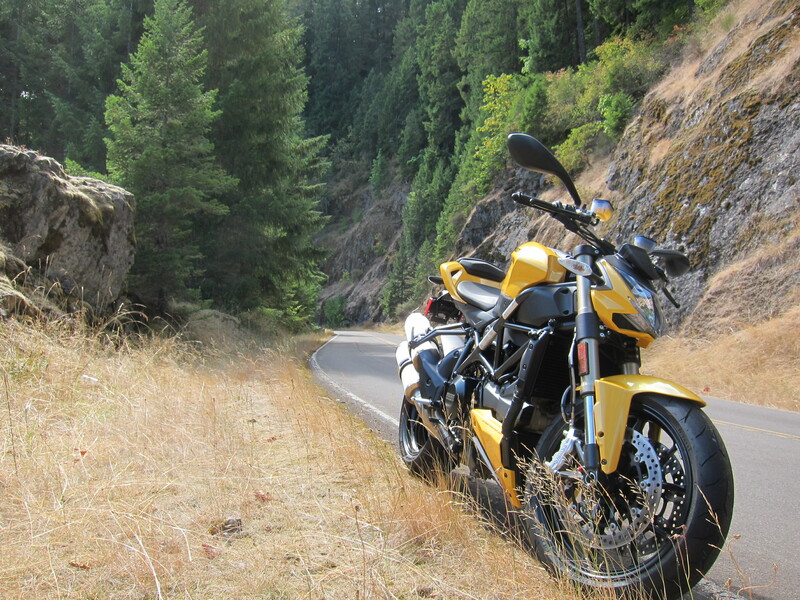 My plan for this Sunday was to simply go towards the coast again with the Ducati. After checking the weather forecast I learned about the probability of rain on the coast so I changed plans. A couple of people had mentioned the Aufderheide road, so it became an opportunity to ride it. 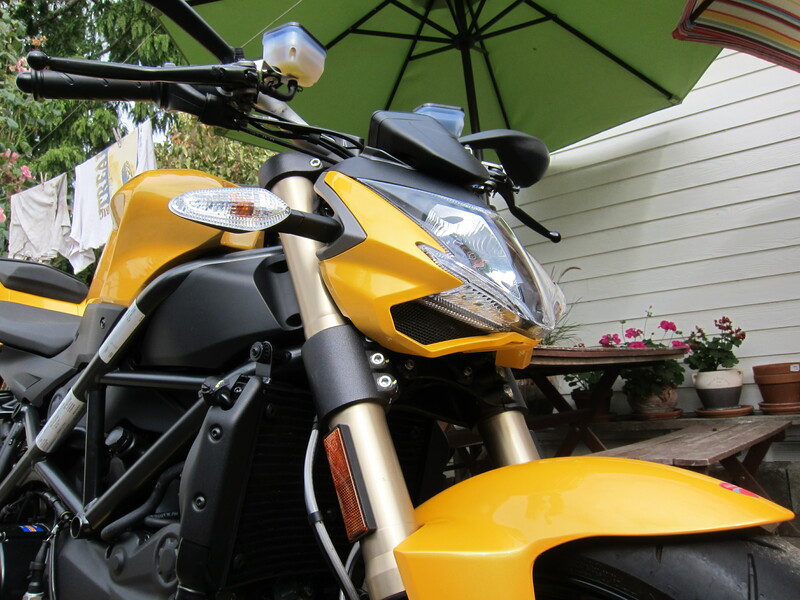 Saturday I washed the bikes, the Ducati is clean. 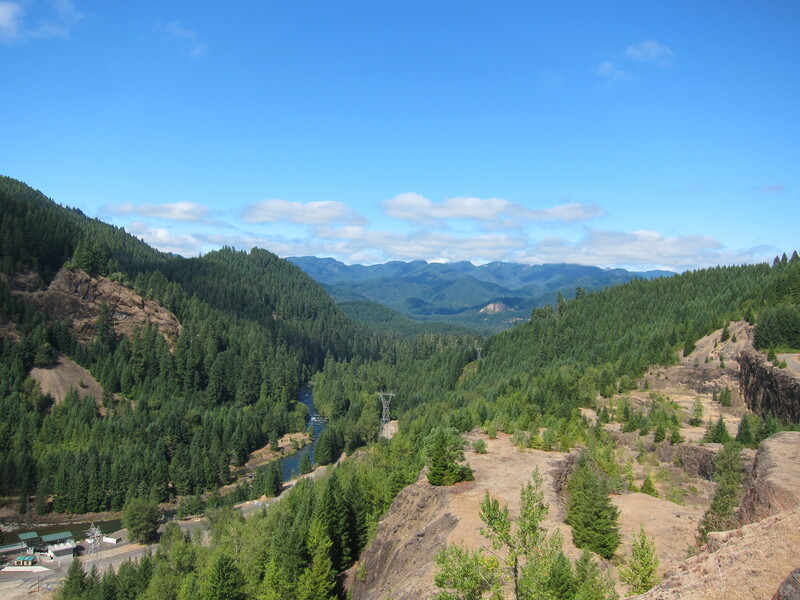 The Aufderheide connects Hey 126 to Hwy 58, along the west side of the Cascades. 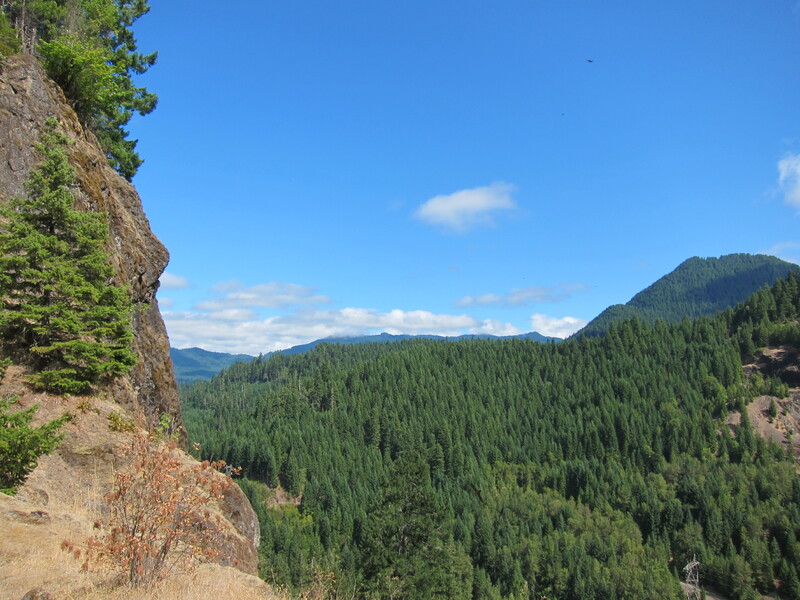 It traverses the McKenzie watershed on the north and the Willamette watershed on the south. 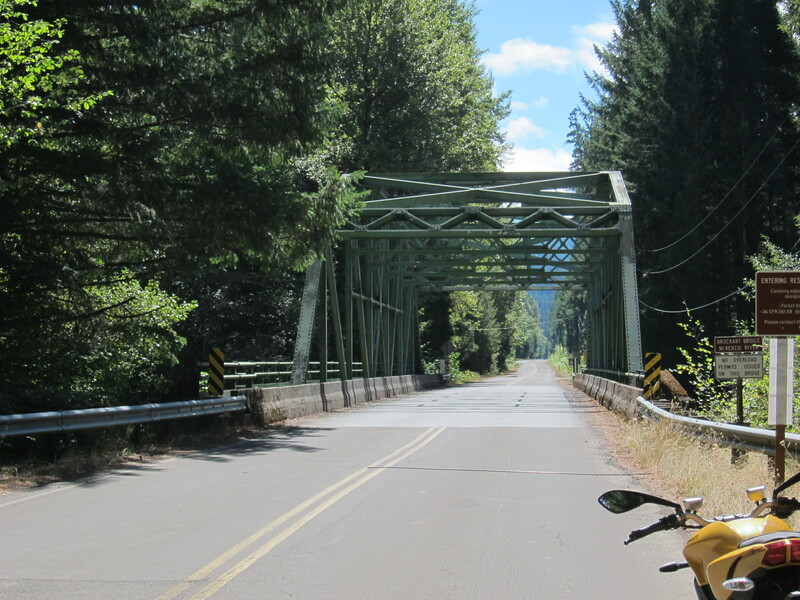 I fueled the bike and took the most direct route towards the beginning of the Aufderheide Dr., on its north side, off of Hwy 126, on Blue River’s area. 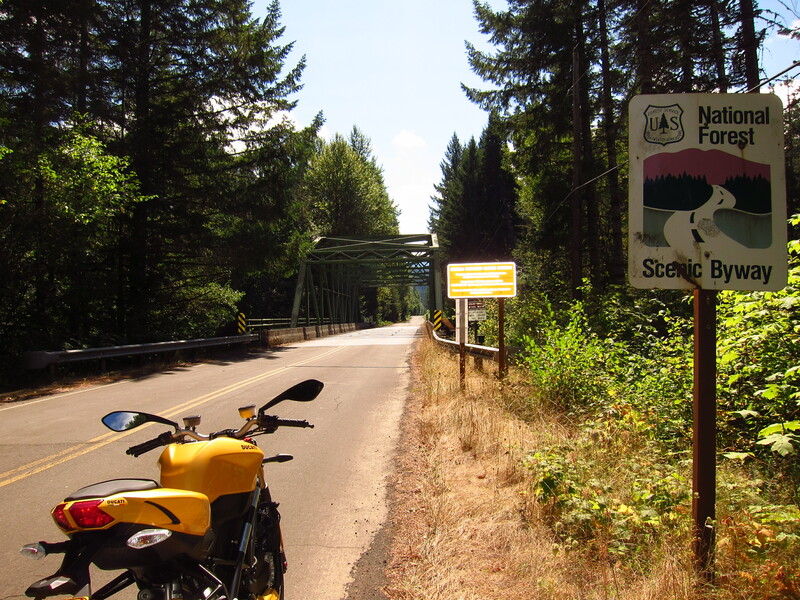 This road is on the series of Oregon roads officially considered Scenic Byways. What will this day and this road bring to man and machine? And soon we crossed the McKenzie. 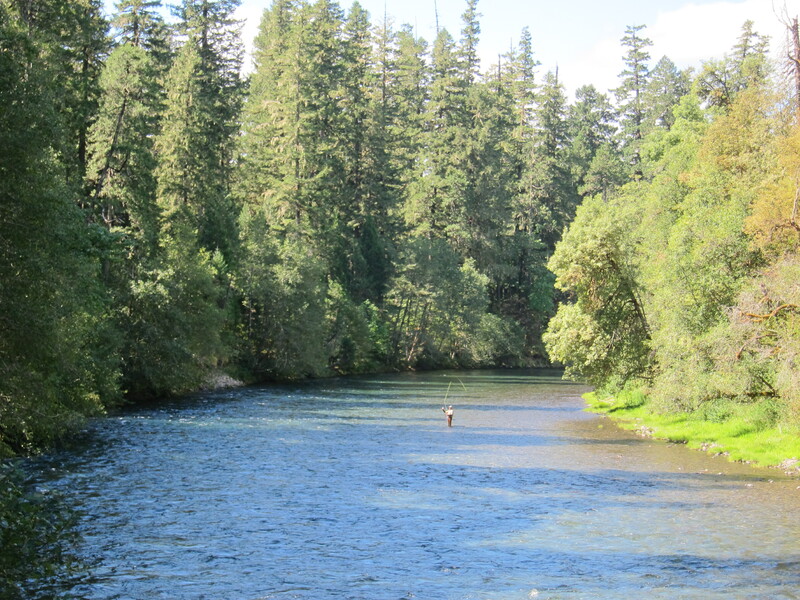 Good spot for fly fishing. Quickly from the McKenzie the road is climbing towards the Cougar Reservoir. 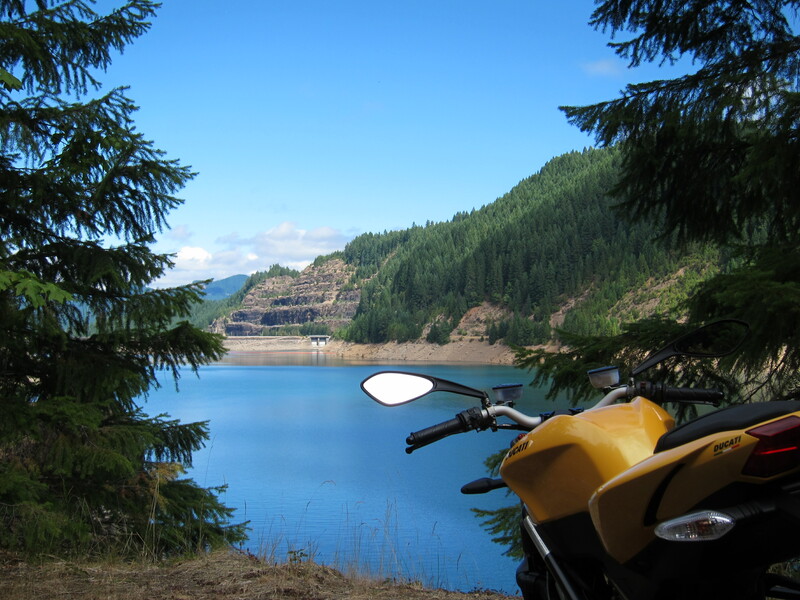 I stopped to document some nice features along the road, only to discover I was already by the reservoir. I went past this curve carved on rocks and decided to turn around and document it. 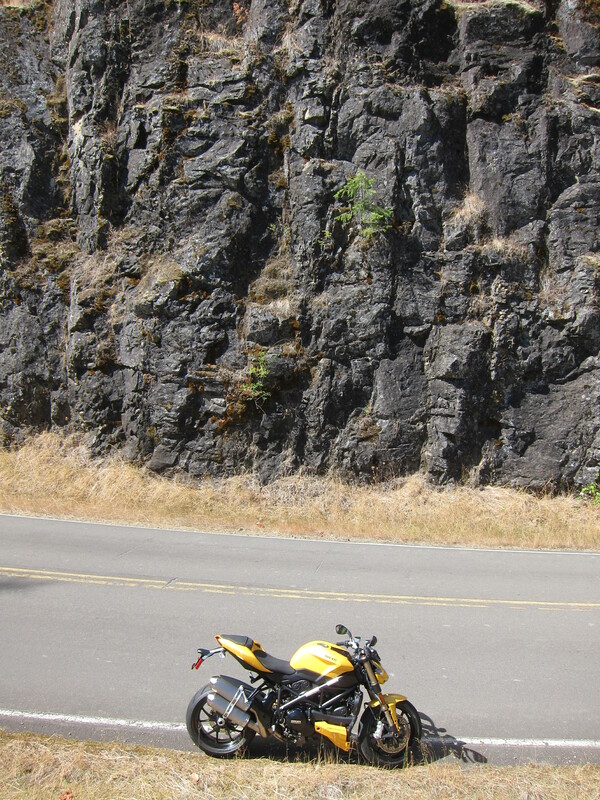 The bike is facing back towards Hwy 126 on this photo. And looking from another angle, behind the bike is where I was going. 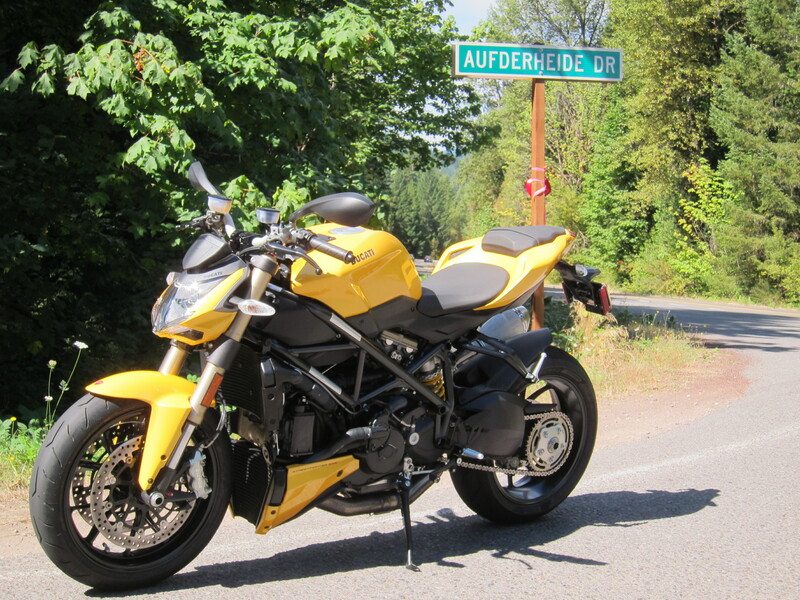 The Ducati at the Aufderheide Dr., just north of the Cougar Dam. 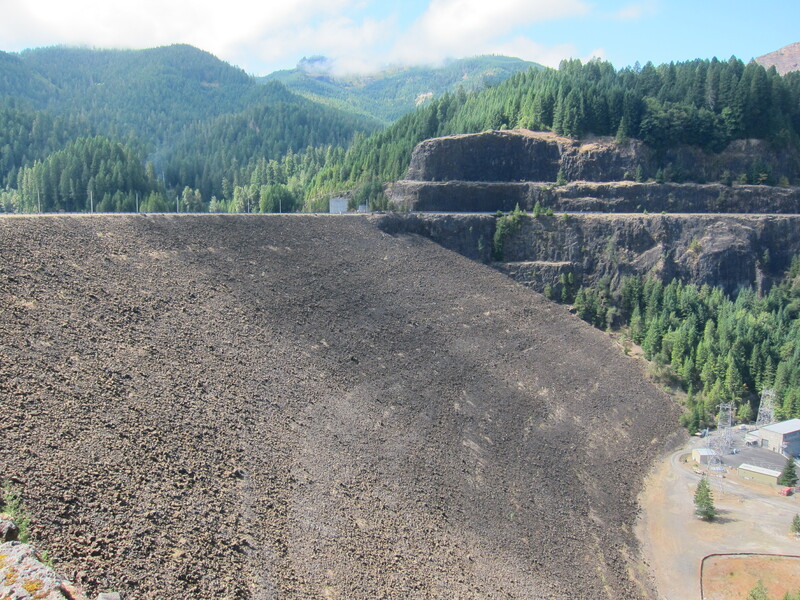 I noticed I was on a canyon of sorts, so I climbed up some rocks to check it out and found the dam. 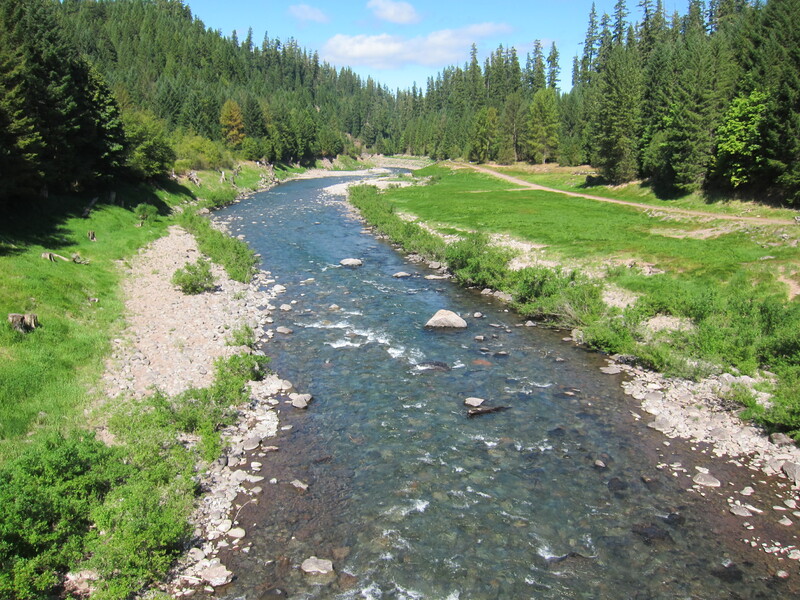 Looking toward the north, where this fork of the river will connect with the McKenzie. And looking back toward the road, there is the Yellow Hooligan Machine. And one more, just for good measure. 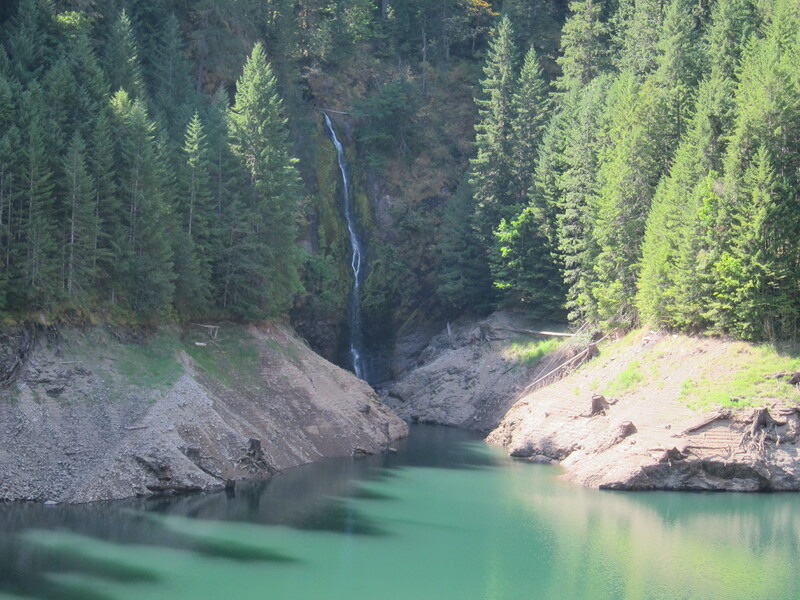 I crossed the dam to better see this McKenzie fork river.This is the direction the river goes to meet the McKenzie. 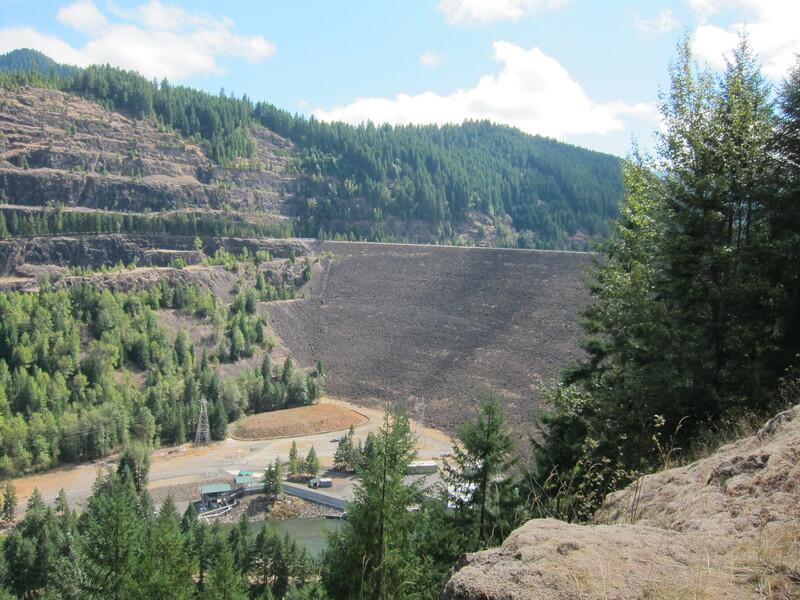 And here is a photo of the Cougar reservoir dam. A massive structure. 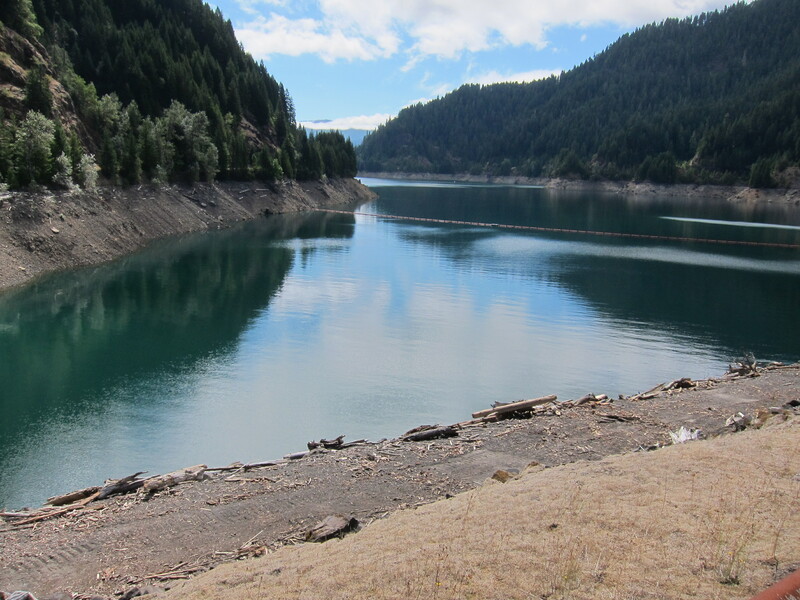 And the reservoir, with end of the summer water levels. Perhaps, and this is a guess from my part, a lower level than usual, due to last winter’s below average snow precipitation. I continue my ride, stopped a couple of times for more photos. 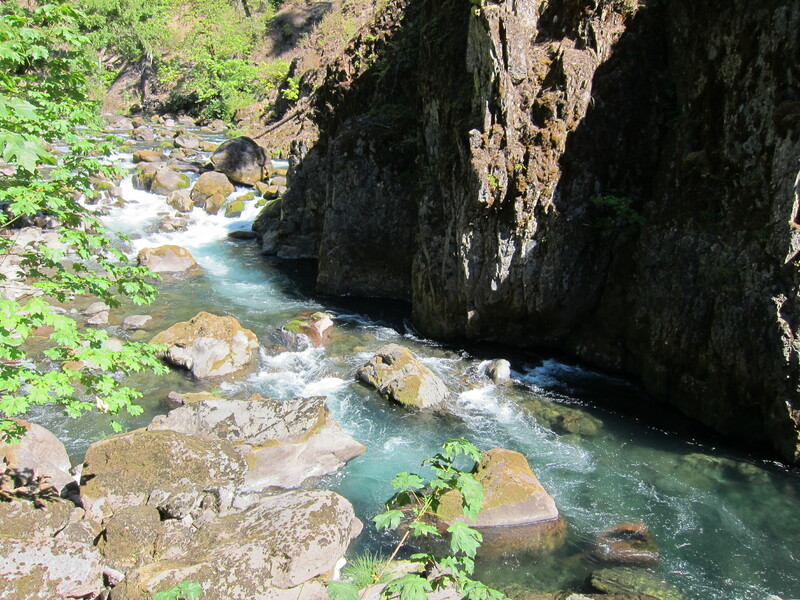 And here is a photo of the South Fork of the McKenzie upstream from the Cougar Reservoir. 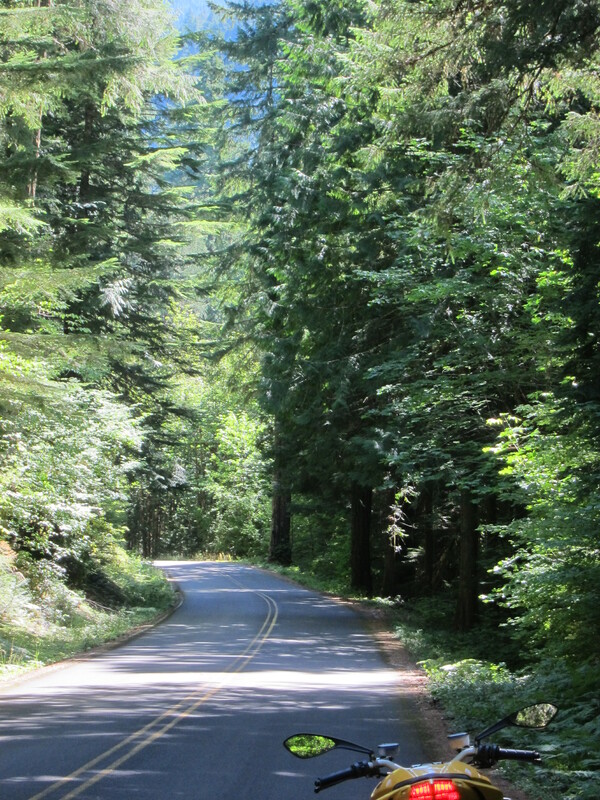 From here on, continuing to the south the road meanders into more forested areas. Greener area towards the south. 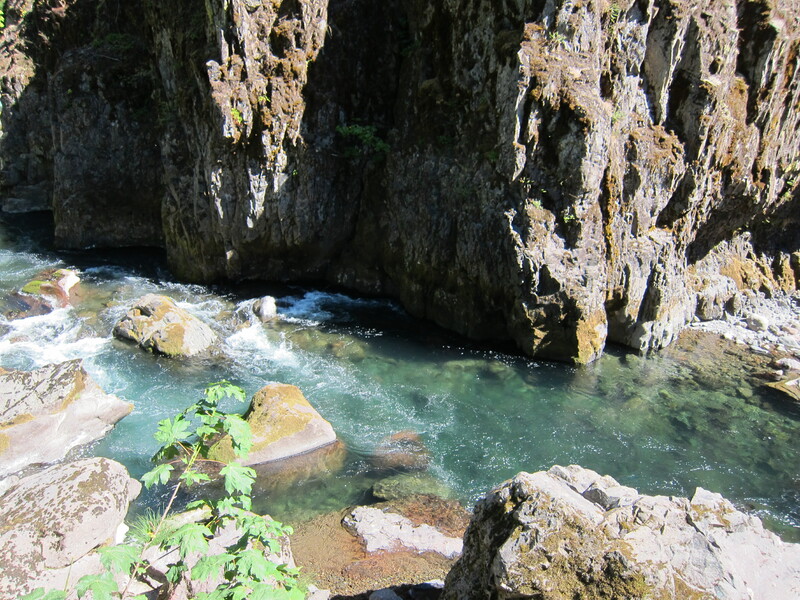 And at some point I crossed watersheds: from the South Fork of the McKenzie to the North Fork of the Willamette. 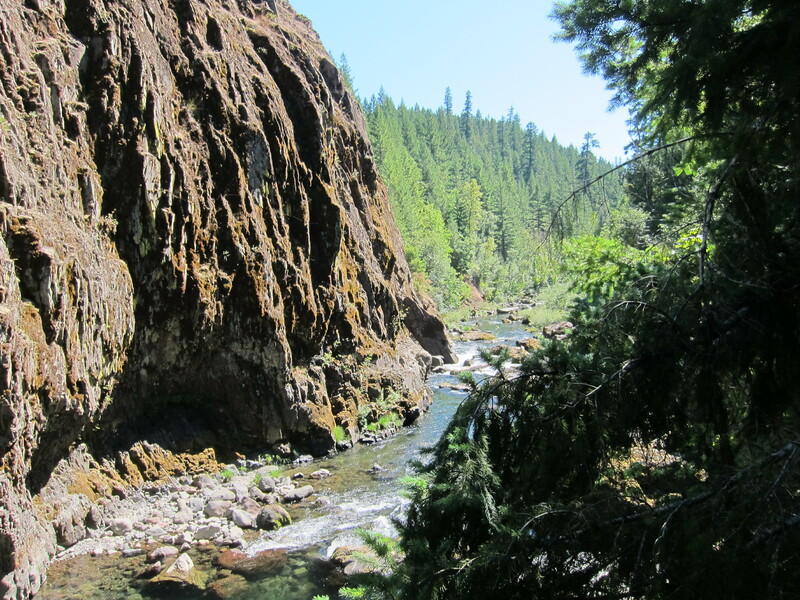 Another photo of the North Fork of the Willamette. After all, I had to hike down a few rock steps to get to take this picture. Might as well document it. This water will eventually go to the Willamette, by my house in Eugene. 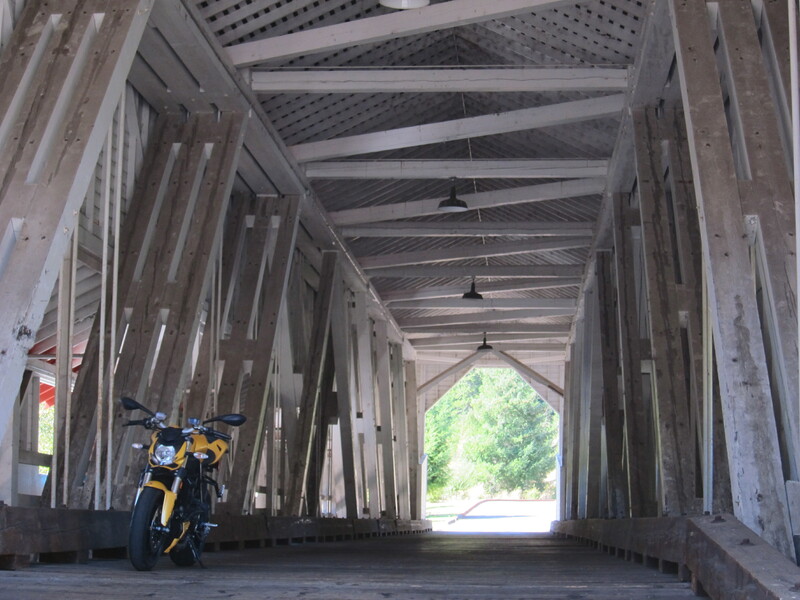 Continuing towards the south, very close to Highway 58 I found this covered bridge. 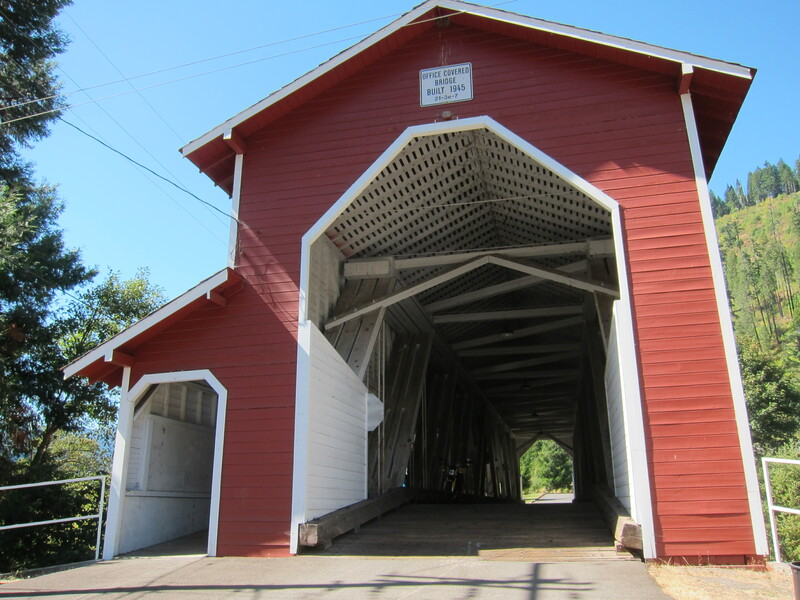 More photos of this covered bridge. 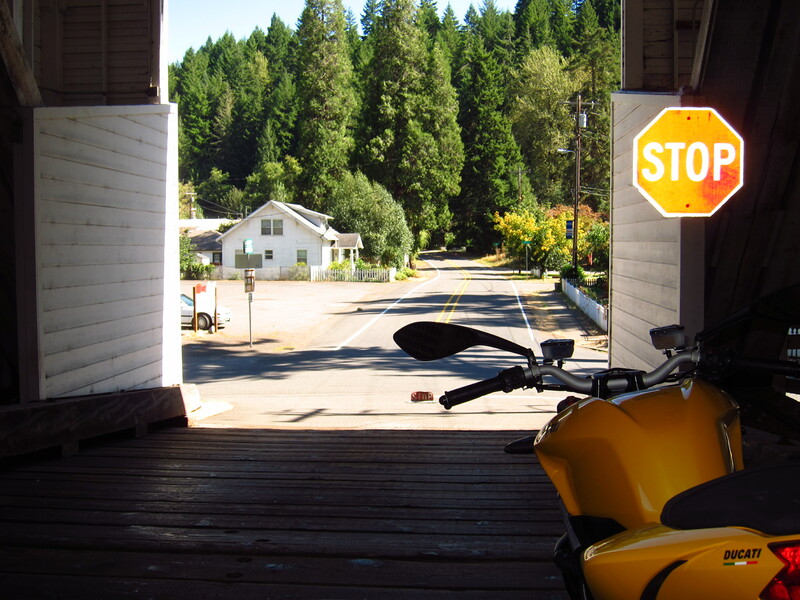 I think this town is called Westfir, Oregon. Just west of Oakridge. 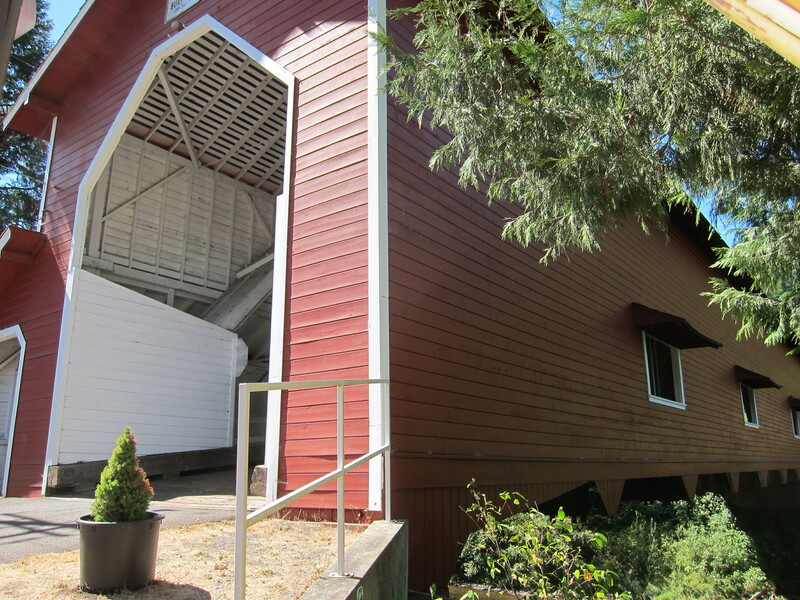 One final photo of the covered bridge. And from there I went home via the Jasper-Lowell Highway. In total, this ride was 156 miles long (251km). As I write this today, the Monday after the ride, I looked outside and noticed it is raining. Although it is the sign of things to come, the end of the Summer nears, today’s rain is only a sprinkle and should clear quickly. Hopefully we will still have many good riding days ahead of us before the rainy season starts in full. 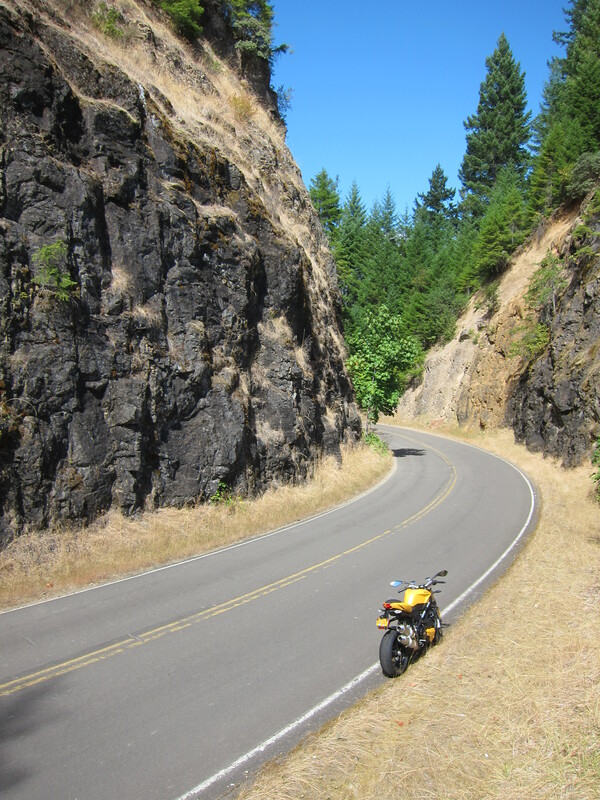 It has been a great summer for riding so far, I practically rode on every Sunday and I’m looking forward to more. The Aufderheide is such a great road. It is a very popular ride for about all the riders we know. We usually ride it from South to the North. 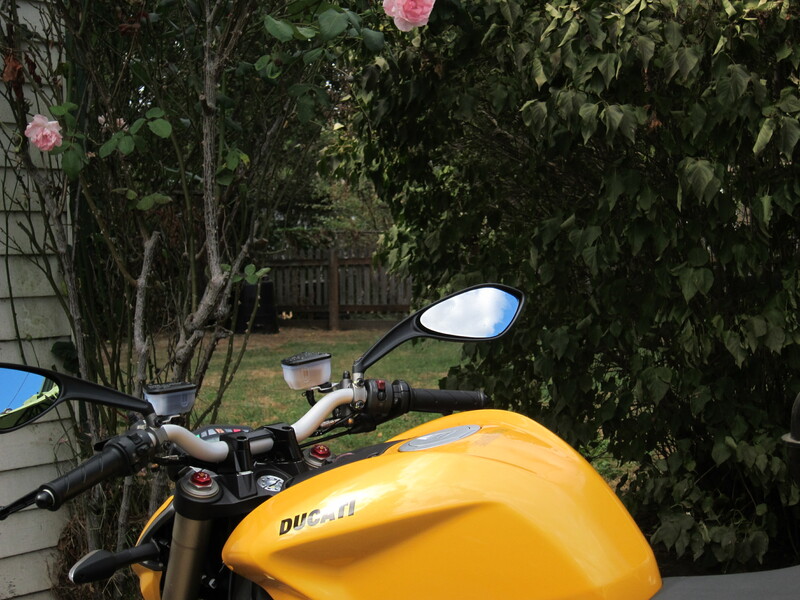 That Ducati sure is photogenic. I hope this comment gets through to you as I think I am getting caught in your spam filter. You are right, I only noticed today, all your comments were on the site’s spam folder. Actually I had never been on that folder before. Next time I will try it from South to North. Ideally I now have been thinking, it would be great to take it from south to north and then continue to Hwy 242 for a cup of coffee in Sister’s. bárbaras as fotos, principalmente destes teus dois últimos posts. Tu estás ficando bom nisto…. Fala João! Que bom receber noticias tuas. Pois é, já estou pensando em uma maquina fotografica melhor para fazer as coisas ainda melhores. Um grande abraço e em seguida, menos de tres meses agora, estarei aí. César. I wonder how AufderHeide (which is from German origin) will be pronounced in American? Anyway, about the pictures: it is all about the bike. 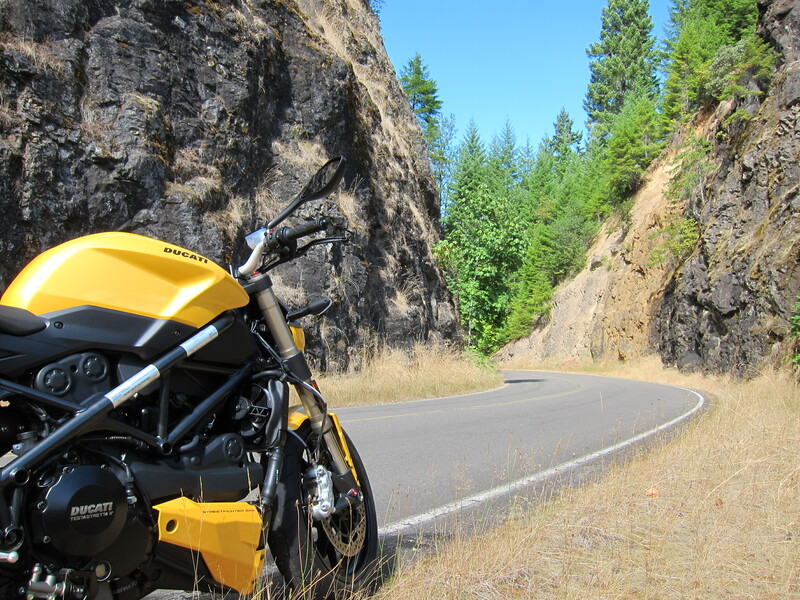 I have yet to have a bike more photogenic than this yellow Ducati. Thanks for reading and commenting, Sonja. Every time I see an update was made to your blog I can’t wait to read it. Keep up the fantastic work. I rode the Aufderheide on July 24th so your photos bring back recent memories. I remember that waterfall and it was very warm that day. I saw girls walking down to the water to jump into the Hot Springs. I stopped at the Dam and snapped a few photos. 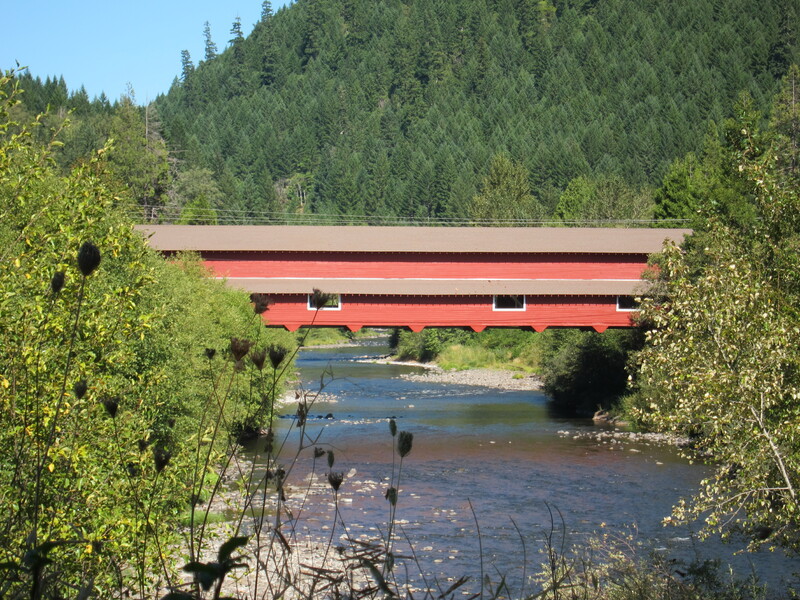 Once I got moving I got hypnotized with just riding and not stopping at all until I reached that Covered Bridge at Westfir. It was late afternoon and I was more worried with finding a place to stay for the night as the shadows of the trees were getting darker and there was no other traffic than me, so I didn’t want to be stuck in there. Thanks Bob. I know it is a question of time until I will get a performance award by Oregon’s finest. But I’ve been extremely lucky so far. Knock on wood.